This past week was fraught with turmoil in Salt Lake City as a militant sweep was conducted to eliminate the homeless population in the downtown area. This action did not resolve homelessness. It exacerbated the issue and resulted in acts of violence, including physical harm to others and destruction of property. Green Women Rising learned of an opportunity to assist a community organization which found itself a victim of the turmoil. To that end, Green Women Rising has decided to forgo physically participating in the Women’s March for Equality this Saturday in Salt Lake City. We will be there in spirit as our sisters and brothers march in the continued fight for equality for all life in this world. We have instead decided to attend to our community in a more immediate way that directly impacts people. A small church which provides over 500 meals a day to those in need, has been broken into. Windows smashed, food storage and clothes stolen. Through their community projects, they distribute food to low-income people even though they can barely afford to do it. This has resulted in letting go of resources to maintain the building which has been in need of repair prior to the break-in. The church members have found themselves having to repair and rebuild in order to carry out their mission of serving those in need. Green Women Rising and others will be assisting in the effort to clean up from the break-in and building maintenance needs, which will include replacing or boarding up windows, erecting a fence and other needed work to help this small organization improve the structure and get services back into place. 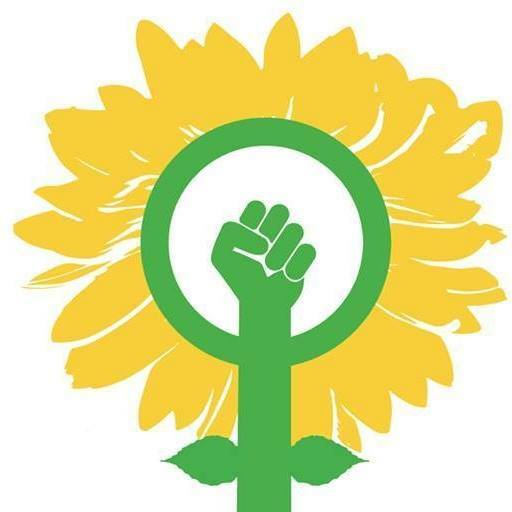 In the spirit of the Ten Key Values espoused by the Green Party, and recognizing that violence is often a symptom of the societal deficits resulting in desperate acts, Green Women Rising reacts to this violent act towards our sisters and brothers who devote their time to helping those in need by helping them restore their services so that the work to feed and clothe the hungry and the poor can continue. It is our Personal and Global Responsibility to engage with our neighbors and our community in this way at this time.